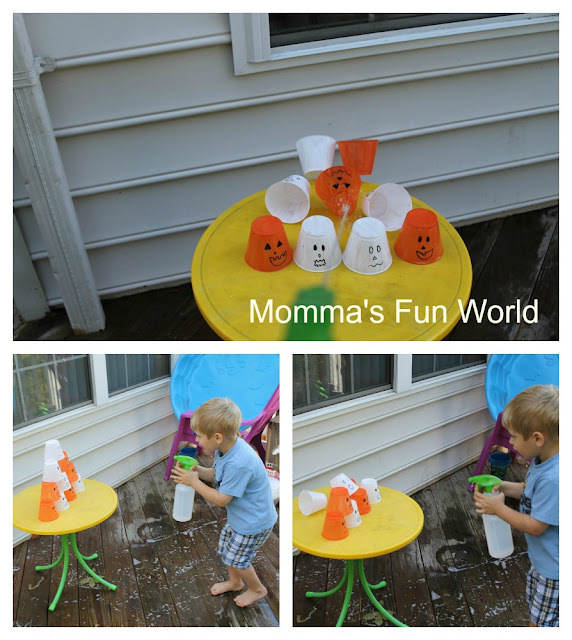 Over the summer we made this game and the kids loved it. So I decide to paint half the cups white for a ghost and other half orange for pumpkins. "J" and "C" had fun playing this again. "C" loved stacking them. "J" kept squirting them. 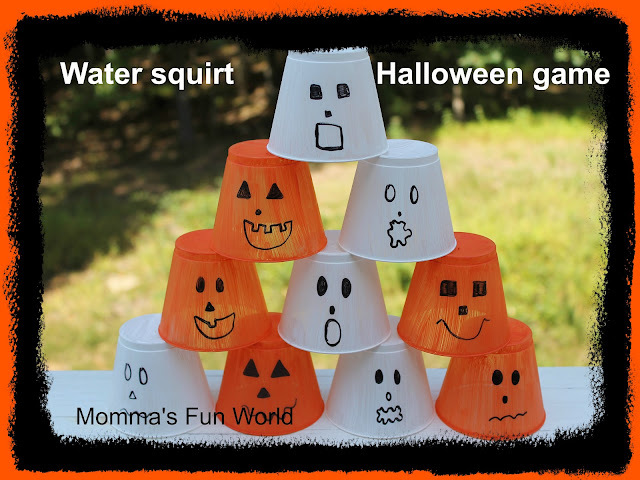 This is a great fine and gross motor skill for the kids when they are squirting the water bottle and moving around. Then eye/hand coordination when they stack them. Plus the fun they have playing. Be sure to check out the other fun Halloween things we have done. I was featured on the blog listed below make sure you check it out. This is so, so cool! 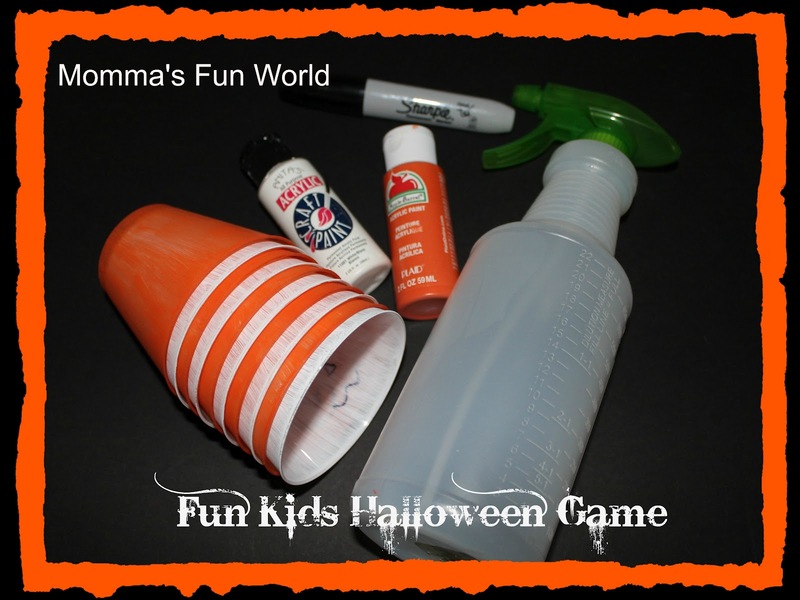 We will definitely be using it, and I'm going to share it on my PreschoolPowolPackets Facebook page!! Oh, how fun!! What a great game! Thank you for sharing at Sharing Saturday! How fun! 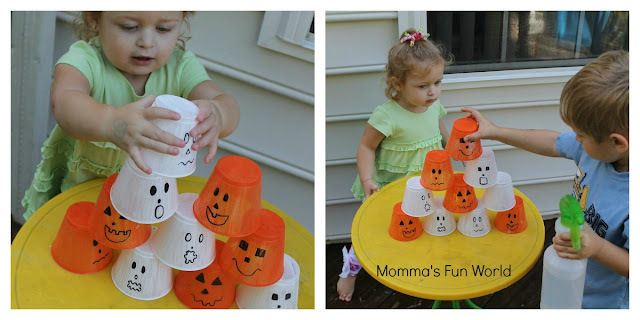 I have to make something similar for my preschoolers! They will have such a blast. 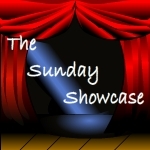 Featured you this week on the Sunday Showcase. Thanks for sharing.